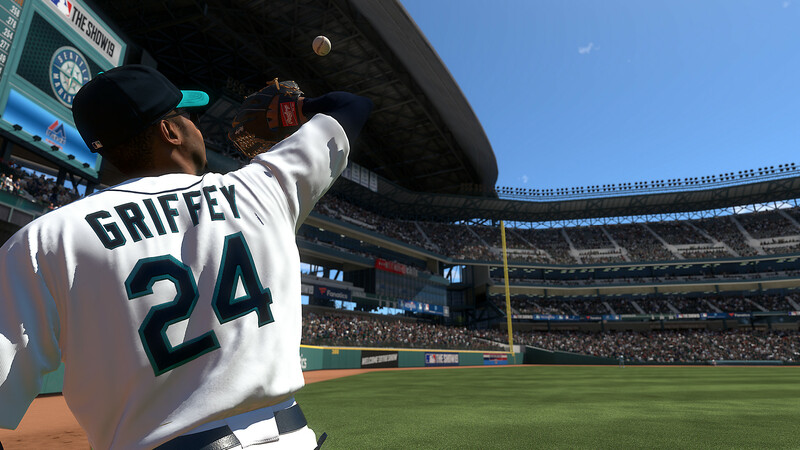 In my past reviews of the MLB The Show, I’ve said that this series just keeps getting better every year, sometimes by a lot, sometimes by just a bit. Well, this is an “a lot” year. A lot lot. This is the best year for this series and honestly it might have a shot at being the best baseball video game ever made. That title has often been given to such classics as Major League Baseball 2k5, Ken Griffey Baseball on the Super Nintendo or the Bases Loaded games on the NES. 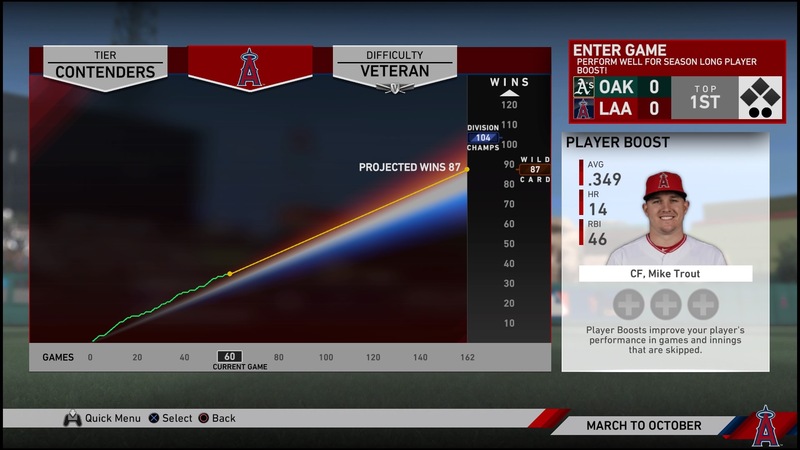 MLB The Show 19 might have them all beat. Let’s see why. This year, the pre-launch marketing blitz focused on two talking points, the first being the various game modes. First, some game modes are more popular than others, usually favoring the more accessible ones. 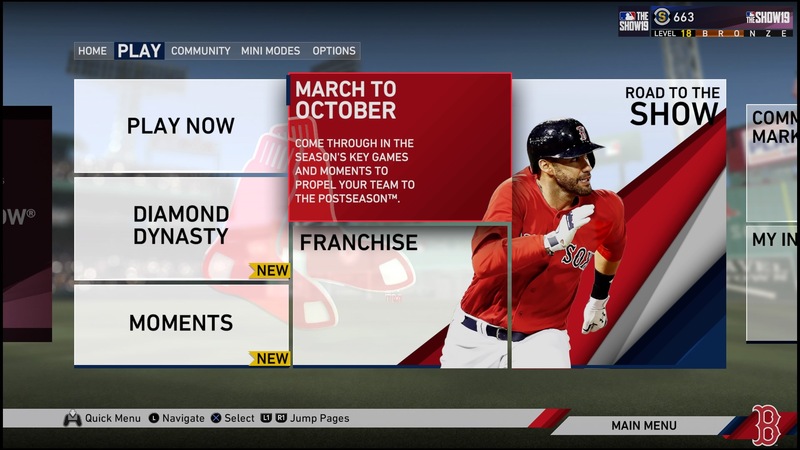 Things like Diamond Dynasty or Road to the Show are staples of the game, while others like Franchise mode or Season mode are not as popular, in part because they’re much more complex. Baseball is a famously complicated sport off the field, with weird roster and drafting rules. People who want to see themselves sit in the GM chair might be put off by how involved it all is when you really get into it. San Diego Studios listened and they came up with a compromise called March to October. In this mode, you play a sort of compressed version of Franchise mode, where you don’t play every game and you also don’t really make any roster decisions. Everything is about momentum. Basically, the game drops you into game situations, usually in later innings, and your performance determines how well your team does over the next few games. You might face a tough save or a tight 6th inning, or maybe you just play one player who’s struggling for a game. As you play, you get a graphic that shows you how many wins you’ll get with your current momentum. The goal is to make the playoffs and win it all. You can set your difficulty but you can also create a challenge for yourself by picking a really bad team. March to October is great because it’s a compromise between a more GM experience where you sim every game and a more hands-on approach. In real sports, people often point to certain games that seemed to have defined a team’s season and March to October captures that perfectly. When you finish your season, if you want, you can keep going in Franchise mode. They also tweaked one of the most popular modes, and my favorite: Road to the Show. They re-introduced the ability to choose your draft team instead of having the draft be random. They also overhauled the archetype system they had last year. This year, your archetype determines how fast you learn certain skills but it doesn’t limit how high you can raise your stats. They also introduced an in-game mechanic where sometimes, your coach will challenge you to do something specific. You usually get three choices, each tied to a XP boost for success. You don’t get a penalty if you fail, but it really adds some tension. In a very video gamey way, they also added boss encounters. Sometimes, you’ll face off against a pitcher or a batter that is exceptionally good and you get this cutscene with them approaching all menacingly. If you rise to the challenge, you are rewarded with an appropriately large XP bonus. 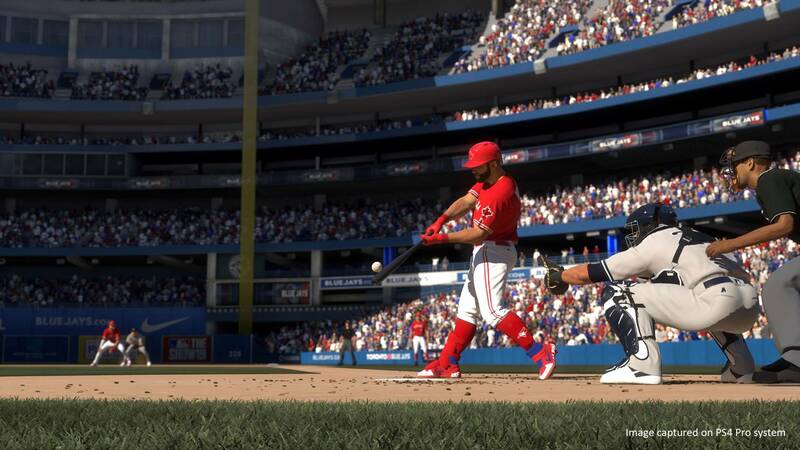 Basically, facing a pitcher like Chris Sale or a batter like Mike Trout should feel like a boss encounter and MLB The Show 18 recognizes that. Finally, they added mini-games to the off-the-field training, letting you get some more XP if you do well. Some of them are kind of unoriginal, like tapping L1 and R1 to grind out bench presses, but some of them are actually useful for practicing joystick control and timing. You can also just skip the mini-games, which is a welcome touch. You might be thinking, “OK, nice, new variants on old modes, but how does that make it the best baseball game?” Well, it doesn’t. The real improvement this year is how good the gameplay is. They’ve polished a lot of the weaker parts of the game. Batting has been especially improved, looking and feeling even more like real baseball. The Show 18 was an improvement on 17 but there was still this feeling that all batted balls kind of behaved the same. It was especially apparent on low power hitters who would often hit right into the outfielders. Some guys in the Majors are not power hitters but they have a knack for finding the holes in the outfield. 18 didn’t really model that, but 19 totally does. Using the contact swing will produce more soft liners that land in the shallow outfield. Now you might be thinking, “OK, cool, but like 5 paragraphs ago, you said that marketing focused on 2 points, what’s up with that?” I did and the second point is that San Diego Studios noticed that the player base was actually pretty bad at the game. They saw that the top 2% of players found the game too easy, but a lot of players were actually struggling, especially when it came to hitting. Pitch speed was especially problematic for some players, and so the studio spread out the difficulty levels. Rookie and veteran are noticeably slower and easier, while Legend is insane. I watch a pitch on Legend and I can’t physically comprehend how some players might read the pitch and have the time to make a decision on their swing, let alone get the cursor to the right position. Then again, I am not in that top 2% by a long shot. This spreading out of the difficulty is a good thing because it makes for a much more satisfying game when you play at an appropriate difficulty level. When you find it, the hitting feels so good, you just want to keep playing to smack those line drives into the gaps. To that, add that they completely revamped how the fielding works and you get a much more natural feeling game. One thing that’s noticeable really early on is that defensive players with low defensive stats are really bad at making hard plays, just like in real life. In previous titles, arm strength might have been noticeable but you’d still get bad players making crazy dives. Not this year. Bad players will miss those plays or hesitate as they react to a difficult ball. They also added a lot of animations for reacting to plays and recovering from missed ones much faster, removing those awkward situations where a player would stand there waiting for the ball to stop moving to grab it. The game also colors the circle around the player so that you can see how good they are at fielding when you control them. This allows you to make decisions about what kind of risk you want to take as you play. Some video game series stagnate, either because they sit on their laurels or because they focus on secondary parts of their games, adding gimmicky tidbits to try to grab the players’ attention. MLB The Show 19 proves that you get great results when, instead of playing it safe, you go all out on your core product. The Show has no competitors, there are no other big baseball games out there, and yet, every year, they push themselves to make it even better. This year, they knocked it out of the park. The game looks, plays and feels better than ever. It’s also easier, with more accessible modes and better parsed difficulty. If my 3 previous MLB The Show reviews didn’t sway you, I hope this one does because you can’t get a better baseball game than this. 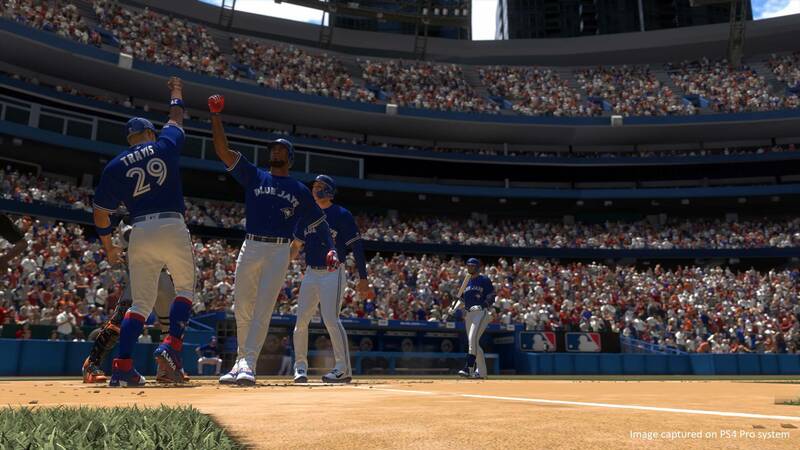 DISCLAIMER: MLB The Show 19 review code provided by PlayStation Canada. The opinions expressed in the article above have not be affected by, dictated or edited in any way by the provider. For more information please see Girls on Games’ Code of Journalistic Ethics.